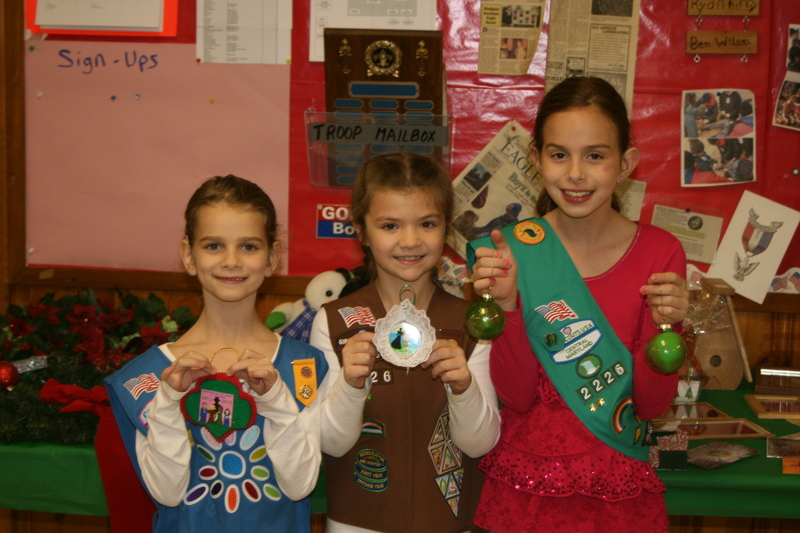 The Girl Scouts of Troop 2226 have been busy creating ornaments and decorations for a Girl Scout-themed Christmas tree for the Kennedy Krieger Festival of Trees. The theme, “Girl Scouts Through the Years! 1912-2012” was chosen to kick off the celebrations as we head into the 100th anniversary of Girl Scouting. The Festival of Trees is a three-day family festival that benefits the Kennedy Krieger Institute, which is dedicated to improving the lives of children and adolescents with pediatric developmental disabilities and disorders of the spinal cord and musculoskeletal system, through patient care, special education, research, and professional training. “The Leadership Team of Girl Scout Troop 2226 strives to involve our girls in as many service opportunities as possible. The Festival of Trees is a far reaching way for our girls to raise monies and awareness for Kennedy Krieger right here in Baltimore. And, we used the History of Girl Scouts to teach each member of our Troop why 100 years is such a huge celebration!” Troop 2226 Co-Leader Heidi Lippy Sprinkle said. 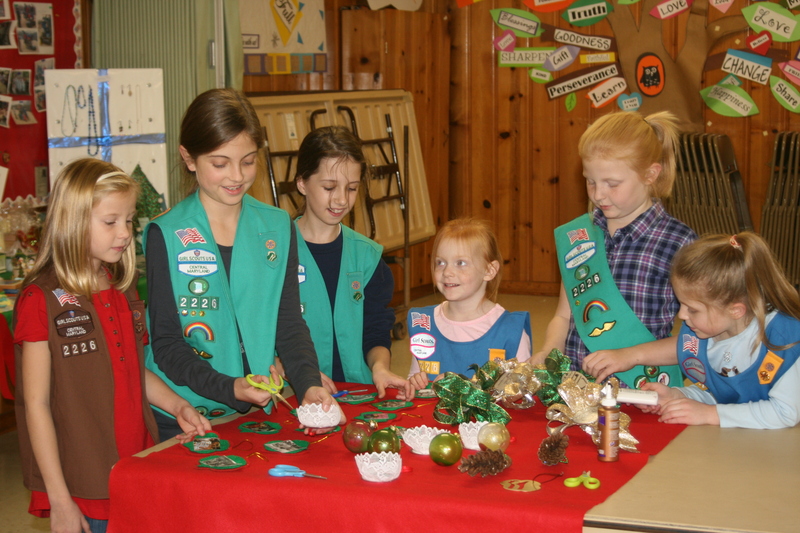 Each Girl Scout in the 39-girl Daisy through Junior troop made at least two ornaments for the tree and hope their families and many of their fellow Girl Scouts will go see the tree at the Festival. Want to see the “Girl Scouts Through the Years! 1912-2012” tree in person? Tickets are available for the Festival of Trees, which takes place this weekend, November 25-27 at the Maryland State Fairgrounds in Timonium. Buy your tickets and learn more about event on the Festival of Trees website. The 2 red heads are my nieces!!! Yeah!!! You make me proud!!! I love and miss you girls! !